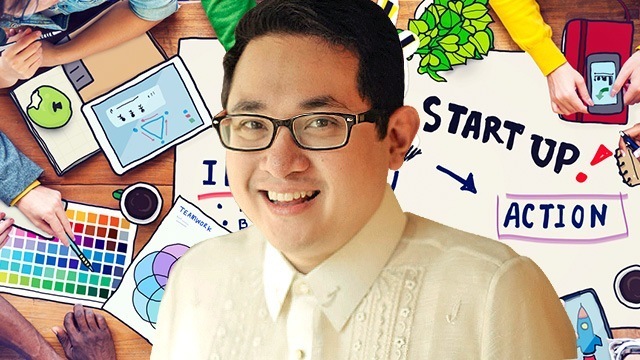 A bill aiming to reduce the barriers to starting up innovative and technology businesses in the country was filed in the Senate on Tuesday, August 1. Proposed by Senator Paolo Benigno “Bam” Aquino IV, Senate Bill No. 1532, or the Innovative Startup Act, seeks to provide tax breaks and other forms of assistance to budding entrepreneurs. In his Tuesday sponsorship speech, Aquino said the measure would serve as an opportunity for the government to empower its innovators and entrepreneurs who have “the heart for nation-building.” The senator said the Philippines has more than 200,000 startups to date but the number of enterprises focusing on innovation and technology would probably be much smaller. If the bill gets passed, startups will enjoy exemption from national and local taxes for their first two years of operation. In the same period, they will receive support via a more conducive regulatory environment as well as technical assistance and training programs. An Innovative Startup Venture Fund of Php10 billion will also be up for grabs. Further, qualified businesses will be entitled to the free use of equipment, facilities and other services from government agencies. Among these are testing and fabrication facilities, and services for the patenting or licensing of their product with the Intellectual Property Office of the Philippines. In 2014, Aquino filed an earlier version of the startup bill, which was not made into law. Now that the much-anticipated bill by the startup community was refiled, it also serves as a good follow-up to the Philippine Roadmap for Digital Startups. Created by the Department of Information and Communications Technology in partnership with local startup founders, the roadmap pushes for more and improved digital innovations in the country. It was launched at the third Geeks on A Beach international conference in Boracay Island, Aklan on August 20, 2015. Benchmarked in 2020, the roadmap project’s primary goal is to have an inventory of 500 Philippine startups with a total funding of at least $200 million (including bootstrapped amounts and external funding) and a cumulative valuation of $2 billion. The project also targets to produce 1,250 founders, 8,500 high-skilled jobs, 15,166,684 users acquired and 719,737 paying customers by that time. This article was corrected on August 16, 2017 to clarify that the Innovative Startup Venture Fund is worth Php10 billion, not Php1 billion as originally stated. We regret the error.